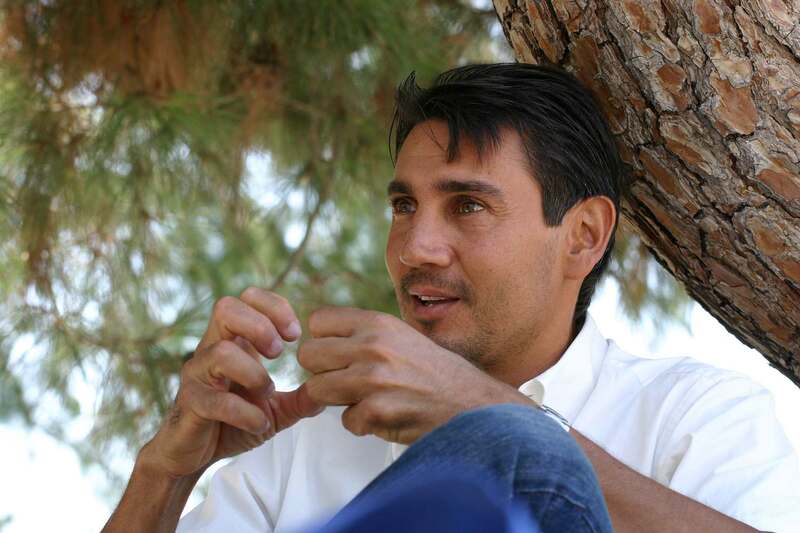 One of the most popular athletes in Greece, Nikolaos Kaklamanakis is a three-time Mistral class windsurfing world champion and a gold medalist at the 1996 Summer Olympics in Sailing. He won silver in the event at the 2003 World Championships in Cádiz, Spain, behind Przemek Miarczynski of Poland. 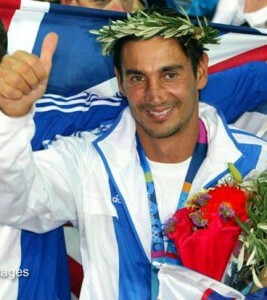 In the 2000 Summer Olympics he came 6th, while in the 2004 Summer Olympics in Athens, Kaklamanakis received the silver medal, behind Gal Fridman of Israel. Four years later, in the 2008 Beijing Olympic Games he finished 8th in the RS:X Men Sailing Race. At the Age of 36, the Athens Games marked his fourth Olympic participation, winning second place. Today he is taking up a new challenge: to represent his country for the fifth time at the Games of the XXIX Olympiad, which will be held in Beijing in 2008. In 1996, he was honored by the Greek Association of Sport Press. In the same year (1996), along with Niki Bakogianni, they were the last torch-bearers on Greek territory, holding the flag at the Closing Ceremony of Atlanta’s Olympic Games. He was also the flag bearer of Greece- the 1st athlete to enter into the Olympic stadium in Sydney 2000 Opening ceremony. A special moment in his career was his sail boarding across the Aegean Sea, a unique feat which he completed in the summer of 1997−he realized the sailing Athens-Crete in two days and one month later was member of the bid Committee for the 2004 Athens Olympic Games (Lausanne-Switzerland). Last but not least, Nikos KAKLAMANAKIS (GRE), was the torchbearer who lit the cauldron at the Olympic stadium during the opening ceremony of the 28th Olympic Games. This was probably the first time that such an honour has been bestowed upon any Greek Olympian and a sailor globally as well, so it was a truly unique occasion. By having in his windsurfing carrier the Best two medals (Gold in Atlanta 1996, Silver in Athens 2004) in the Olympic Boardsailing Class, the 6th place in Sydney 2000, and also by being 3 times World Champion, he is considered to be the best male Olympic board sailor up today. Vicky Arvaniti is a professional Beach Volleyball athlete. She has reached an ultimate high in her strength of the game since her debut beach volleyball performance at the first U-21 international event in Catania at the age of just 16 years old, winning the 4th place. For her, to become a member of the national beach volleyball team was a dream which came true, as she teamed up with Vasso Karadassiou. Together they secured 8 gold medals in the European tour, and they were twice crowned “European Champions”. The team Arvaniti – Karadassiou won a gold medal in the Fivb Grand Slam in Stavanger, making Arvaniti the youngest player to ever win a gold medal in the world tour. On the 2005 tour, which followed, Arvaniti was also named “Most Improved Player”. Since then, Arvaniti has competed in three Olympic Games –Athens, Beijing and London– with 3 different partners. Her ultimate goal is to participate in the 4th Olympic Games Tokyo 2020 with her current partner and complete a remarkable career. Arvaniti is currently studying at the National and Kapodistrian University of Athens, in the Department of Primary Education. This year, she has decided to take a break from the competition so as to concentrate on her studies and for family reasons. Born in Thessaloniki. Studied theater at the Art School of Roula Pateraki and the Art Schools of Stella Adler and HB Studio in New York. He graduated in Law from the Aristotle University. 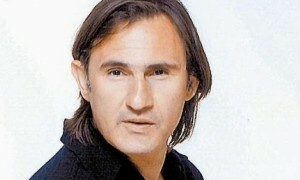 He participated in TV-series, in films and in many plays. He has participated in numerous distinguished musical theater productions: “Cabaret” (dir. Konstantinos Arvanitakis) “Searching the Attic” (dir. Sophia Spyratou), ” With exquisite music “(dir. Sophia Spyratou),”The Sound of Music” (dir. Themis Marsellou). He has been honored four times for his work in the movie theater and twice for his work in the theater.